The duo Montgomery Gentry topped the chart for the first time in 2004. Hot Country Songs is a chart that ranks the top-performing country music songs in the United States, published by Billboard magazine. In 2004, 21 different songs topped the chart, then published under the title Hot Country Singles & Tracks, in 52 issues of the magazine, based on weekly airplay data from country music radio stations compiled by Nielsen SoundScan. Singer Kenny Chesney's song "There Goes My Life" was at number one at the start of the year, having been at the top since the issue of Billboard dated December 20, 2003. It remained at number one for the first five weeks of 2004 before being replaced by "Remember When" by Alan Jackson. The highest total number of weeks spent at number one by a song in 2004 was seven, achieved by "Live Like You Were Dying" by Tim McGraw, which was ranked number one on Billboard's year-end chart of the most popular country songs. As the song's seven weeks at the top were split into two separate spells, however, the longest unbroken run at the top was five weeks, achieved by three different songs, two of which were by Kenny Chesney: "There Goes My Life" and "When the Sun Goes Down", the latter a collaboration with Uncle Kracker. 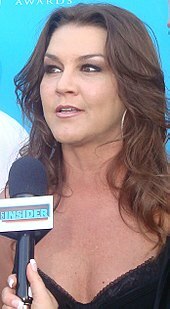 The third song with a five-week run at the top was "Redneck Woman" by Gretchen Wilson. Tim McGraw achieved the most number one hits of the year, with three, and tied with Kenny Chesney for the most weeks in the top spot, with ten. Chesney and Toby Keith were the only artists other than McGraw to place more than one song at number one in 2004, with two each. When his collaboration with Chesney reached the top spot, Uncle Kracker gained a number one with his first single to appear on the country chart. While Kracker had previously released other recordings and even appeared on other Billboard charts, Gretchen Wilson achieved the feat of topping the chart with her very first single when "Redneck Woman" reached the top spot in May. It marked the first chart-topper by a solo female artist for more than two years, but was followed to the top later in the year by songs by Reba McEntire, Terri Clark and Sara Evans. The only other act to achieve a first number one in 2004 was the duo Montgomery Gentry. The final number one of the year was "Some Beach" by Blake Shelton. Gretchen Wilson was the first solo female artist to top the chart since April 2002. Tim McGraw spent ten weeks at number one during the year. Phil Vassar spent two weeks at the top of the chart in November. ^ "Best of 2004: Hot Country Songs". Billboard. Retrieved October 13, 2017. ^ a b "Uncle Kracker Chart History". Billboard. Retrieved October 6, 2017. ^ Ruhlmann, William. "Gretchen Wilson - Biography". AllMusic. Retrieved October 13, 2017. ^ Freeman, Jon (September 8, 2017). "Troy Gentry of Montgomery Gentry Dead at 50 After Helicopter Crash". Rolling Stone. Retrieved October 13, 2017. ^ "Hot Country Songs chart for January 3, 2004". Billboard. Retrieved 22 August 2010. ^ "Hot Country Songs chart for January 10, 2004". Billboard. Retrieved 22 August 2010. ^ "Hot Country Songs chart for January 17, 2004". Billboard. Retrieved 22 August 2010. ^ "Hot Country Songs chart for January 24, 2004". Billboard. Retrieved 22 August 2010. ^ "Hot Country Songs chart for January 31, 2004". Billboard. Retrieved 22 August 2010. ^ "Hot Country Songs chart for February 7, 2004". Billboard. Retrieved 22 August 2010. ^ "Hot Country Songs chart for February 14, 2004". Billboard. Retrieved 22 August 2010. ^ "Hot Country Songs chart for February 21, 2004". Billboard. Retrieved 22 August 2010. ^ "Hot Country Songs chart for February 28, 2004". Billboard. Retrieved 22 August 2010. ^ "Hot Country Songs chart for March 6, 2004". Billboard. Retrieved 22 August 2010. ^ "Hot Country Songs chart for March 13, 2004". Billboard. Retrieved 22 August 2010. ^ "Hot Country Songs chart for March 20, 2004". Billboard. Retrieved 22 August 2010. ^ "Hot Country Songs chart for March 27, 2004". Billboard. Retrieved 22 August 2010. ^ "Hot Country Songs chart for April 3, 2004". Billboard. Retrieved 22 August 2010. ^ "Hot Country Songs chart for April 10, 2004". Billboard. Retrieved 22 August 2010. ^ "Hot Country Songs chart for April 17, 2004". Billboard. Retrieved 22 August 2010. ^ "Hot Country Songs chart for April 24, 2004". Billboard. Retrieved 22 August 2010. ^ "Hot Country Songs chart for May 1, 2004". Billboard. Retrieved 22 August 2010. ^ "Hot Country Songs chart for May 8, 2004". Billboard. Retrieved 22 August 2010. ^ "Hot Country Songs chart for May 15, 2004". Billboard. Retrieved 22 August 2010. ^ "Hot Country Songs chart for May 22, 2004". Billboard. Retrieved 22 August 2010. ^ "Hot Country Songs chart for May 29, 2004". Billboard. Retrieved 22 August 2010. ^ "Hot Country Songs chart for June 5, 2004". Billboard. Retrieved 22 August 2010. ^ "Hot Country Songs chart for June 12, 2004". Billboard. Retrieved 22 August 2010. ^ "Hot Country Songs chart for June 19, 2004". Billboard. Retrieved 22 August 2010. ^ "Hot Country Songs chart for June 28, 2004". Billboard. Retrieved 22 August 2010. ^ "Hot Country Songs chart for July 3, 2004". Billboard. Retrieved 22 August 2010. ^ "Hot Country Songs chart for July 10, 2004". Billboard. Retrieved 22 August 2010. ^ "Hot Country Songs chart for July 17, 2004". Billboard. Retrieved 22 August 2010. ^ "Hot Country Songs chart for July 24, 2004". Billboard. Retrieved 22 August 2010. ^ "Hot Country Songs chart for July 31, 2004". Billboard. Retrieved 22 August 2010. ^ "Hot Country Songs chart for August 7, 2004". Billboard. Retrieved 22 August 2010. ^ "Hot Country Songs chart for August 14, 2004". Billboard. Retrieved 22 August 2010. ^ "Hot Country Songs chart for August 21, 2004". Billboard. Retrieved 22 August 2010. ^ "Hot Country Songs chart for August 28, 2004". Billboard. Retrieved 22 August 2010. ^ "Hot Country Songs chart for September 4, 2004". Billboard. Retrieved 22 August 2010. ^ "Hot Country Songs chart for September 11, 2004". Billboard. Retrieved 22 August 2010. ^ "Hot Country Songs chart for September 18, 2004". Billboard. Retrieved 22 August 2010. ^ "Hot Country Songs chart for September 25, 2004". Billboard. Retrieved 22 August 2010. ^ "Hot Country Songs chart for October 2, 2004". Billboard. Retrieved 22 August 2010. ^ "Hot Country Songs chart for October 9, 2004". Billboard. Retrieved 22 August 2010. ^ "Hot Country Songs chart for October 16, 2004". Billboard. Retrieved 22 August 2010. ^ "Hot Country Songs chart for October 23, 2004". Billboard. Retrieved 22 August 2010. ^ "Hot Country Songs chart for October 30, 2004". Billboard. Retrieved 22 August 2010. ^ "Hot Country Songs chart for November 6, 2004". Billboard. Retrieved 22 August 2010. ^ "Hot Country Songs chart for November 13, 2004". Billboard. Retrieved 22 August 2010. ^ "Hot Country Songs chart for November 20, 2004". Billboard. Retrieved 22 August 2010. ^ "Hot Country Songs chart for November 27, 2004". Billboard. Retrieved 22 August 2010. ^ "Hot Country Songs chart for December 4, 2004". Billboard. Retrieved 22 August 2010. ^ "Hot Country Songs chart for December 11, 2004". Billboard. Retrieved 22 August 2010. ^ "Hot Country Songs chart for December 18, 2004". Billboard. Retrieved 22 August 2010. ^ "Hot Country Songs chart for December 25, 2004". Billboard. Retrieved 22 August 2010. This page was last edited on 26 March 2018, at 23:32 (UTC).